About the only reassuring thing about having cockroaches in your home is that you know you are not alone. Most countries have cockroaches and in all several thousand species exist, though, thankfully, only a handful are pests in the home. Even the everyday names of the most common cockroaches in Australia (all introduced) indicate their worldwide conquest: the American; the Australian; the German; the Oriental; the Smoky-brown; and the Brown-banded. Cockroaches are adaptable, fast-breeding scavengers that will eat anything humans will and a bit more besides including rotting and fermenting garbage and faecal matter. They are nocturnal creatures most at home in dark, warm, humid places where food and water are in ready supply. This includes behind heating equipment, under the sink, in dishwashers, in kitchen cupboards and drawers, in piles of newspaper, behind wallpaper and in cracks and crevices in walls. 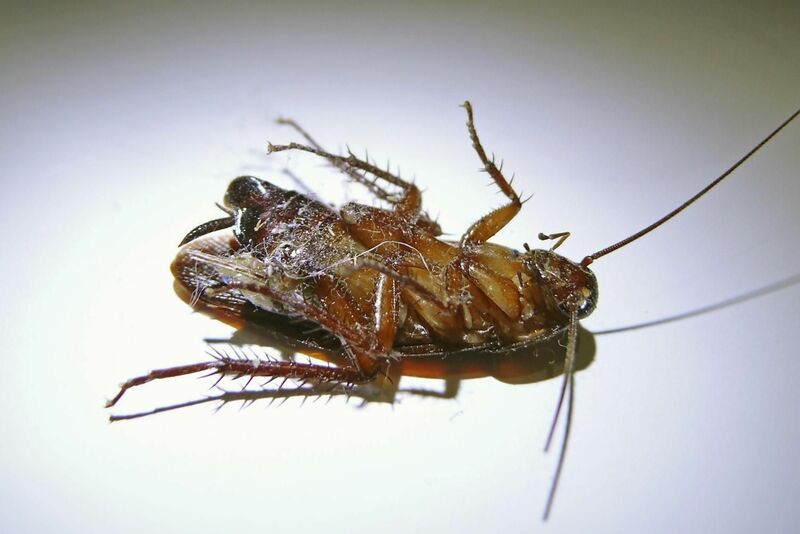 Usually you won’t see cockroaches during the day unless infestation is particularly pronounced but at night they roam, feeding and contaminating food, utensils and surfaces with their droppings. Via their droppings, they can spread bacteria that cause diseases such as salmonella poisoning, diarrhoea and dysentery, among others. Signs of their presence include tiny faecal droppings, smudges from regurgitated food and egg cases. Any infestation of cockroaches demands immediate action, but heavy numbers require professional help. Areas such as behind the refrigerator and hot water services, in roof voids, drains and plumbing, and in cracks and crevices in the kitchen, bathroom and laundry need to be thoroughly checked and repaired. Insecticidal dusts, residual pyrethroid sprays, gel baits, and glue boards can be used. 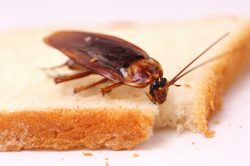 For permanent cockroach control, good hygiene is essential – keep surfaces clean of food, especially at night; store food away properly, remove potential hiding places such as stacked newspaper and cardboard, seal up cracks and crevices and vacuum regularly. The occasional really thorough clean, getting behind the fridge and into cupboards and pantries is also a good idea. Do simple cleaning tasks straight away – such as emptying the rubbish, cleaning pet food bowls and wiping up food spills. Outside areas also need to be clean and checked for potential entry points. Garden beds should be moved away from house walls. 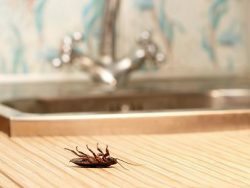 A professional pest controller will be able to point out all the areas that need attention, as well as treat any cockroach infestation. Need a domestic or commercial cockroach treatment, make an online enquiry or call us now on 1800 284 442. Bugs-Be-Gone Pest Control has been in operation for the last 30 years in the Sydney region and is a locally owned business started by Gordon Simms.